Working on Empty (WOE) is our multimedia documentary project, now part of the Healthy Work Campaign, which reveals the toll of harmful work stressors on individuals, organizations and society, and advocates for worker health. Strengthen the American worker's voice and labor power to create healthy work. Advocate for, and support, enforcement of existing health and safety regulations and expanding them to include "healthy work" guidelines. Download and Share the Healthy Work Agenda. Sign up for our newsletter. Get information and tools to improve unhealthy work in America. More than 120,000 deaths per year are associated with how U.S. companies manage workers. Cardiovascular Disease (CVD) remains the #1 cause of death in the US at nearly 801,000 deaths/year. 10-20% of annual CVD deaths are caused by the way we work. It’s time to change our work culture in America. As many as 10 different work stressors have been related to poor mental and physical health, and can shorten your life by up to 3 years! Have you ever experienced work conditions that you believe were unhealthy, caused you undue stress or made you sick? Those working 11+ hours per day were two and half times more likely to experience a major depressive episode compared to those working 7-8 hours per day. 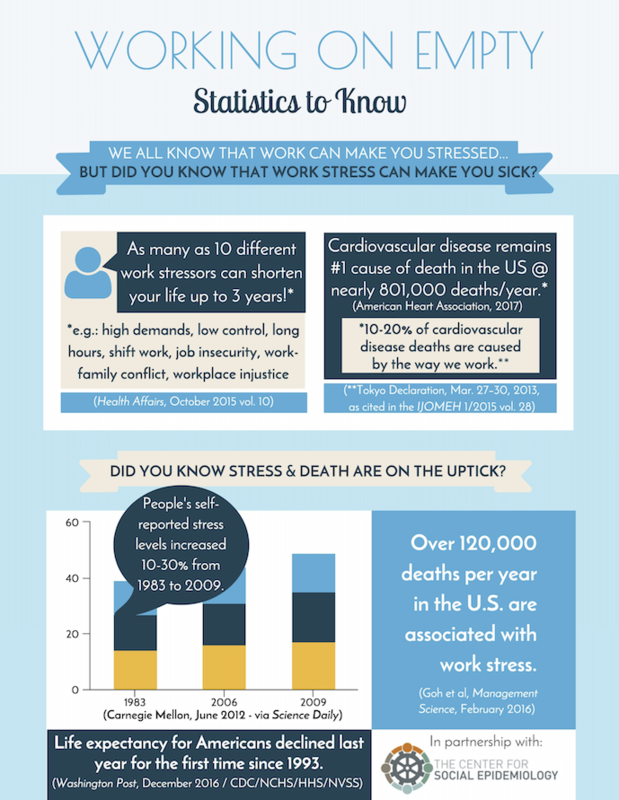 Sources of stress at work are increasing in the U.S. 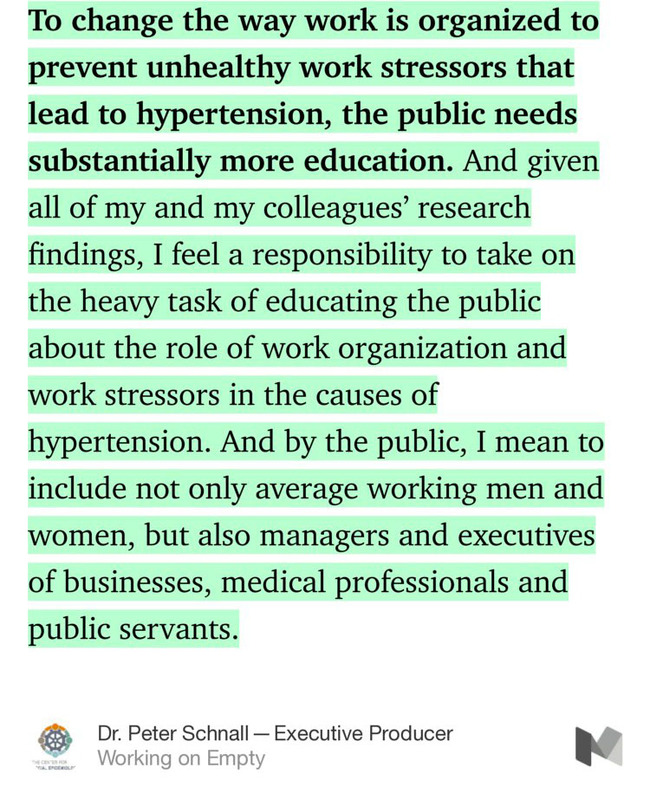 The Impact of Work on Life Expectancy in the U.S. — Marnie Dobson Zimmerman, Ph.D.
Actually, Winter is here. Workers are under attack from the politicians they elected.